In an ideal world, you’d want your employer to be sorry that they couldn’t keep you, acknowledge your contributions and admit that they’ll have big shoes to fill when you’re gone. Here’s how to leave the same way you came in – on a high note. 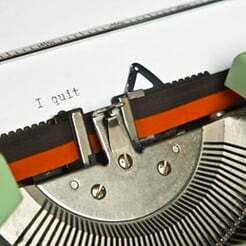 How would you quit your job? With over 10 million views, Marina Shifrin\'s viral resignation video has opened the door to a creative but risky new way of quitting. Job HuntingJob Hunting Tips Two weeks' notice? Not sure how much notice you need to give when leaving your job? Let us help with these resignation tips. 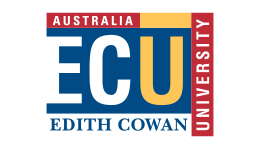 If you are leaving your job and would like to personalise your resignation letter for your employer, use this sample resignation letter as a template for your formal notification. 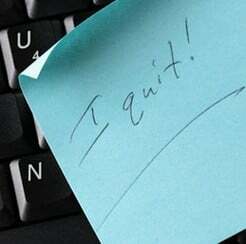 If you have changed your mind about leaving your job, use this sample retraction letter to take back your resignation. Exit interviews are conducted with departing employees in a last ditch effort to learn what made them jump ship. 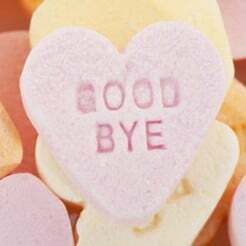 Job HuntingJob Hunting Tips Kissing Your Job Goodbye: How Do I Quit? Leaving a job can be just as hard as leaving a relationship. Knowing when to cut your losses and start anew is instinctive for some, but for others it's a slow, painful and drawn out process.